How to doing business with brokers and middlemen? 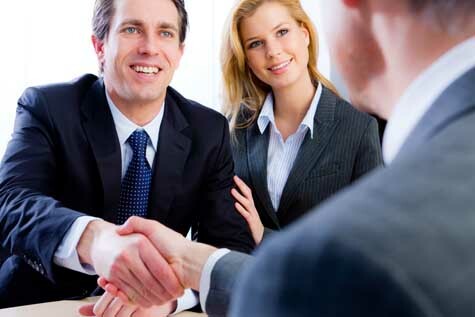 A broker is a middleman who “works a deal” between two parties to the satisfaction of both. When dealing with import and wholesale you’ll hear about a “shipping broker”. Such folks don’t own any planes or ships, they imply get paid to handle some or all of the transactions and procedures between an out of country seller and an importer. In our case, we are talking about Merchandise Brokers. These are people who match products with people who need them or think they can sell them. In some cases, they will get on the phone or email about a cancelled order that has already been produced and has nowhere to go. In other cases they may get a frantic call from a retailer who ran a promotion on a product and has run out. The broker’s job is to find some additional goods at a price the retailer is willing to pay. The broker may know of another retailer in a different market who has complained about slow sales of the same item and is hoping for chance to get them out of his building. And some operate similar to manufacturer’s agents, having a standard assortment of manufacturers they represent and for whom they solicit orders. In all cases, they seldom, if ever; actually handle any goods in a physical sense. And again in most cases, they do not handle any money in regard to the transaction. They will be paid an agreed upon fee by whichever party hired them. Keep that in mind. Seldom does a broker handle the money part of a transaction. This can be either a Godsend, or a catastrophe, which can easily result in a deal gone bad. The buyer has no recourse to the broker, who did not actually handle the money. There may be instances when an established broker does get drawn into a law suit, for steering the buyer wrong, but for an impromptu situation like this, the “broker’ can say they were just doing the buyer a favor and accepted a small fee for their time. Beware of “brokered deals” that are quickly set up by someone who is not a professional broker. Similar to the brokered deal is the “group buy”. However in this situation the guy in the broker’s seat is fully responsible. There have been many instances of this type and it is advisable to steer well clear of them. You’ll find someone come to a forum or call or fax some people he thinks may be interested in sharing in a “great deal” he has found. He personally doesn’t have the cash or the sales volume to handle the deal on his own, so he “shops” it around, finding some others to help make the minimum and come up with the cash. The deal doesn’t go as planned. The original guy got scammed and there will be no delivery of the goods. Or the products were junk. Or they original guy took everyone’s money and ran. It doesn’t matter which is the case. Then money is gone, no goods are coming and if the original guy is still around, he has no money to repay the others. And repay them he must. Even if he was duped, the others don’t know that. For all they know he took their money and had a grand holiday. Of course, he’s not answering the phone, he’s too embarrassed. This is becoming a staple saga on the Internet. In some cases the initial guy was a crook from the start, but in most he just got taken advantage of and did not have the capital to repay the others. Deal only with established, professional brokers, if at all. Avoid Group Buys unless you know the people involved and know you will get your money back if there are problems.